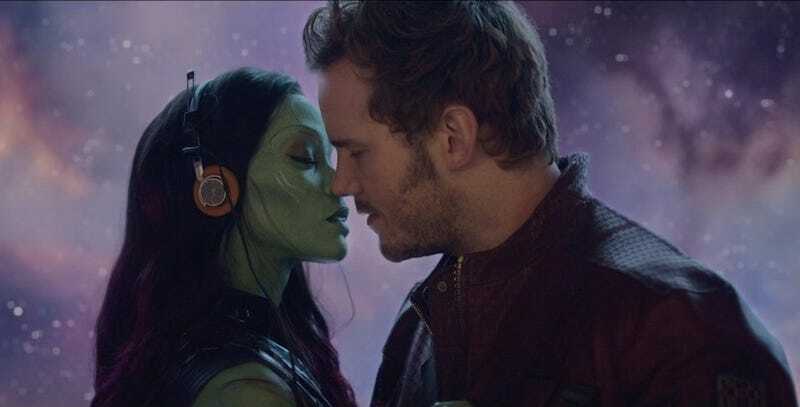 In our exclusive interview with executive film producer and president of Marvel Studios Kevin Feige, we found out how one little walkman changed the entire shape of GOTG. Why was GOTG the first non-Avengers linked movie that Marvel made? Why not Defenders or Heroes for Hire? Kevin Feige: Well the honest answer is because we wanted to do a big space movie. We wanted to do a big, outer space opera. An outer space adventure, it had been a long time since we'd seen one. We'd been fans of them our entire lives. And we thought that we had a group of characters, and a storyline, that could add something unique to that genre. And 10 movies in to our cinematic universe, it felt time to be able to do something very different and very fresh and original. What did you miss that you wanted to make? The Marvel comics has an amazing amount of cosmic activity, as you know. So many of the storylines take place throughout the cosmos. We touched on it in the Thor films we touched on it in the first Avengers. But we wanted to do something that spent 99.9% of the film out and about exploring other planets and other worlds. Being on spaceships, and all that stuff that we love. And at the same time, do it in a way that perhaps could allow an emotional anchor for a mainstream audience that perhaps didn't have the same kind of reverence and nostalgia and love of science fiction that we have or that the io9 readers have. The great thing about Guardians is the lead character Peter Quill, Star-Lord, is from Earth. Is a human being from our time. And as such has references, pop cultural reference in particular, that we all know and all relate to. When James Gunn joined us and started rewriting the draft, preparing to direct it, he had an even better idea — which was, in the knapsack of young Peter Quill (when he's abducted from Earth), to have there be a Sony Walkman. With an awesome mix tape in it. Which allowed suddenly the entire movie to have a soundtrack to it. Which, A) was just awesome. It allows you to have action sequences set against… unlike anything you've ever seen in a scifi space opera. But at the same time, B) be an emotional anchor for people that you and I don't necessarily want to hang out with, but [who] don't know science fiction, or don't care for spaceships going through space. So that was the game changer when James Gunn was asked, "What if he had a walkman?" I think it was a very big game-changer for the movie itself. The very first outline that James delivered to us (based on Nicole Perlman's draft) had on the very cover of it just a picture of a walkman and headphones. And it was awesome. It was one of the early things we changed and I thought, this is gonna work. This guy is the right guy.